Before the 2014-2015 budget was passed, it was understood that the burdens of economic reform and austerity measures needed to be equitably distributed among all classes of society. They included reductions in fuel subsidies, setting a maximum wage, a five per cent surtax on incomes of over LE1 million, a tax on dividends and real-estate taxes. However, when it came to applying the measures, the government reduced fuel subsidies, but instead of introducing the surtax it lowered the maximum income tax rate from 25 to 22.5 per cent and deferred the implementation of the dividends tax. The ceiling on salaries was voided of substance, and the real-estate tax become pointless given the low revenues from this source largely due to bureaucratic red tape. At the same time, a critical hard currency shortage arose, and the unofficial exchange rate against the dollar soared until the government was forced to float the pound. The prices of goods and services then spiralled, and inflation rates hit all-time highs. The middle and lower classes were particularly hard hit by deteriorating living standards. Production declined, and many factories were forced to suspend operations or lay off workers, sending up both the unemployment and poverty rates. The government’s economic measures have affected all segments of society, but the intensity of their impact has varied from class to class depending on its capacity to absorb the shock. The less wealthy the segment of society, the less resilience it has had as the costs of fuel, electricity, water, natural gas and public transport have doubled and as prices in general have shot up due to the introduction of the new value-added tax (VAT) and the unprecedented rates of inflation. During Al-Sisi’s second term, the government needs to revise its social policies with an eye to creating more effective ways to counter negative social mobility and to more equitably distribute the burdens of economic reform, ensuring that the wealthy shoulder a fairer share and easing the strain on the middle and lower classes. In general, the government should see its role as being more than just a service provider. Instead, it should also strive to bring about qualitative improvements in the lives of the lower classes of society. With this in mind, the government has introduced policies to alleviate poverty, and it has brought in social programmes to alleviate the adverse effects of the economic reform measures on the poor and vulnerable. It has created a committee to develop and administer a national database of social safety nets (SSNs), for example, which will classify Egyptian families in terms of their needs for SSN services and government subsidies so as to better ensure the delivery of services and subsidised goods to their intended recipients and to screen out those who do not qualify for such assistance. The information in the database will also help decision-makers to formulate projections for future policies and develop monitoring and assessment mechanisms for SSN systems. The government has also launched the United National Registry (UNR) initiative to link and consolidate national social safety net databases in order to facilitate coordinated targeting and delivery mechanisms and to facilitate the tasks of economic and social decision-makers. However, thus far the planning and implementation of such social policies in general, and the SSNs in particular, has lacked the necessary degree of coordination and integration between the programmes and their component parts and between the agencies and the officials responsible for ensuring their success. Mistakes have also been made in the process of implementation, sometimes triggering public dissatisfaction towards the programmes and scepticism concerning the government’s intentions. Services in the healthcare and educational sectors have deteriorated sharply over recent decades. Urgent reforms in these sectors are essential if there is to be any hope of economic, political and social development in Egypt. Under the 2014 constitution, the government is obliged to spend 10 per cent of GDP on education, healthcare and scientific research. About a third of this should be allocated to healthcare. However, due to its austerity plans, the government failed to meet its constitutionally stipulated obligations with regard to allocations for healthcare in the 2016-2017 and 2017-2018 budgets. In fact, public spending on healthcare declined during this period, dropping from 1.43 per cent of GDP in the 2016-2017 budget to 1.34 per cent the following year. In December 2017, the comprehensive health insurance act was passed by parliament, and the government now faces the challenge of putting the law into effect as quickly and effectively as possible. If it is serious about proper healthcare reform, it must do all it can to ensure that the public feels concrete improvements in healthcare over the next four years. Thus far, the government has taken some steps towards the implementation of the act, such as creating the required funding, supervisory and healthcare bodies. However, it is still in the process of deliberating over the proposed mechanisms for applying the provisions of the law pertaining to revising the price structures for services, monitoring the creation and equipment of healthcare centres, ascertaining quality, funding mechanisms, creating databases and automating the system. With regard to educational reform, the steps taken during Al-Sisi’s first term included the creation of the Educational Curricula Committee in accordance with Cabinet Decree 467/2015 and the creation of the Council for Technical Education and Vocational Training in accordance with Presidential Decree 706/2014. In addition, the Ministry of Technical Education and Occupational Training was created in 2014 and then merged into a single ministry called the Ministry of Education and Technical Education in 2015. Nevertheless, the 2017 census furnished some alarming statistics that drive home the urgency of educational reform in Egypt and social development in general. They include the fact that the overall illiteracy rate is 25.8 per cent among men and 30.8 per cent among women. The state school dropout rate is 7.3 per cent. Some 26.8 per cent of the population still receives no formal education at all. In addition, according to the 2015 report on Egypt’s progress in meeting the UN Millennium Development Goals, 35 per cent of school children in Egypt are unable to read and write. If such figures tell us anything, it is that the school system in Egypt is unable to equip students for higher education or occupational training or for the labour market. 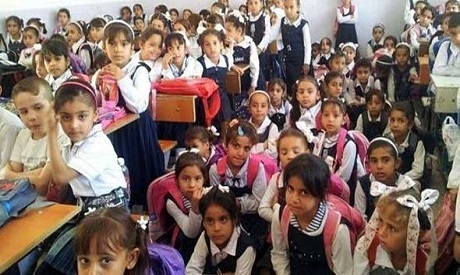 Education Minister Tarek Shawki has announced a package of ambitious educational reforms, but they will be difficult to implement without the necessary funding in a country that already spends less on education than many other countries in this region. Educational reform entails several processes carried out in tandem, including curricula development, the professional development of teaching staff and the building of new schools.